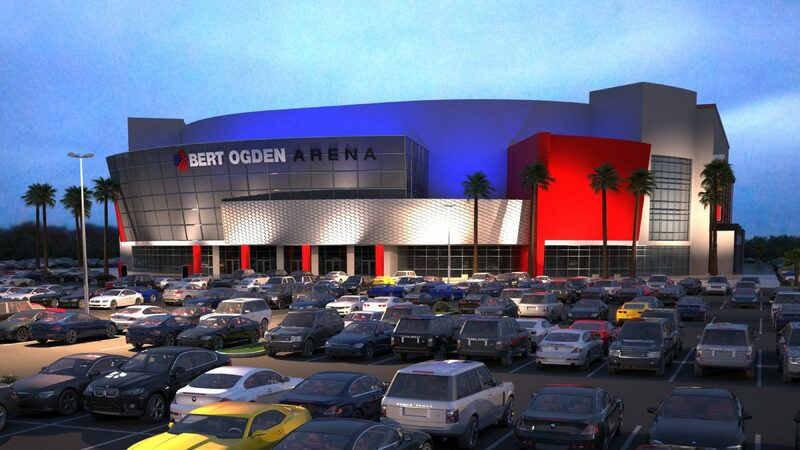 EDINBURG — Amid the whir of construction still a few weeks from completion, Bert Ogden Arena officials announced Monday that WWE Live will be coming to the venue on Sept. 14, marking the first non-musical act scheduled for the new facility. Bert Ogden Arena CEO Marc Solis said WWE’s production staff will be on hand for the promotion’s first Edinburg event, scouting the facility’s amenities and broadcast capabilities to see if the venue is fit to host a televised WWE program. September’s WWE Live show is slated to be the second event held at the arena, following Mexican singer Luis Miguel on Aug. 31. Solis said crews are working on the final phases of construction nearly around the clock, and the project remains on schedule to be completed for August. He said the potential exists for an event other than Miguel to serve as the venue’s opener. Solis asked for the Rio Grande Valley’s support of the acts already being promoted at the arena — Alejandro Fernandez y Los Tigres Del Norte on Oct. 4, J Balvin on Oct. 6 and Romeo Santos on Oct. 20 — and said he and the rest of the venue staff will continue to “swing for the fences” in hopes of landing acts that have never come to the area before. During Monday’s presentation, Solis also touted the overall quality of the 9,000-seat arena and its impact on job creation and the local economy. Robert Vackar, who together with his wife Janet Vackar owns the Bert Ogden Auto Group, also stepped forward to address the media. MMA star turned professional wrestler Ronda Rousey is expected to be a part of September’s WWE Live show. The advertised main event pits the team of Roman Reigns and Seth Rollins against Dolph Ziggler and Drew McIntyre. Also scheduled is a match between Braun Strowman and Kevin Owens. Tickets start at $25 and go on sale at 10 a.m. Friday. Monday’s announcement closed with a recorded video of WWE Superstar Bayley promoting the event and touting the new facility.